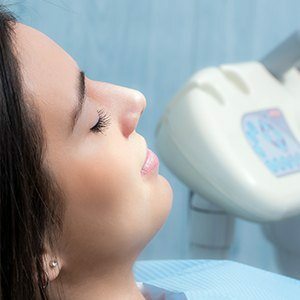 Dr. Jorgenson and his staff at Advanced Dental Care understand the fear that patients may feel when they find out that they must have a tooth extracted. We're patients too sometimes, and even though we understand the procedure and know we are in the best of care with Dr. Jorgenson, the anticipation of teeth extraction can still be unsettling – so trust us when we say that this procedure is only performed when absolutely necessary and with the greatest attention to your comfort and care. Why Choose Advanced Dental Care for Tooth Extractions? Wisdom Teeth - Probably the most universally recognized condition that warrants extraction is your wisdom teeth. These third molars are the last to develop and are typically too large for your mouth to accommodate. (This wasn’t always the case, though – in years past, our early human ancestors needed these teeth to chew the raw grains and tough meats that comprised their diets.) 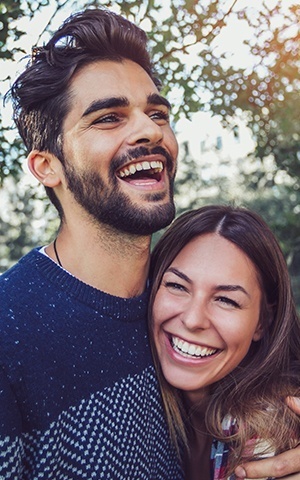 Whether your wisdom teeth have erupted through the gums or are impacted, meaning they have not erupted, Dr. Jorgenson can remove them safely and comfortably. Excessive tooth decay or trauma - Sometimes patients have a tooth that is so severely decayed that restoration with a filling or crown is not a viable option. In this case, we will extract the tooth and work with you to choose the best tooth replacement option. Likewise, if a tooth is irreparably damaged because of an injury or perhaps a failed root canal, then extraction may be necessary. Orthodontic treatment - For patients undergoing orthodontic treatment, whether in our office with Invisalign® or with another orthodontic professional, we can extract teeth in order to accommodate a treatment plan. There are times when having straight teeth necessitates creating adequate space for teeth to align. If this necessitates tooth extraction, Dr. Jorgenson can provide this service. Even if you understand the rationale behind tooth extraction, you may still need a bit of help assuaging your fears. In that case, Dr. Jorgenson can provide oral conscious sedation in addition to local anesthetics. With oral conscious sedation, you take a small amount of a sedative to help you relax. Some of our sedation patients think they’ve fallen asleep during their procedure. In fact, you remain awake, but may not be able to remember your procedure once finished. Oral conscious sedation requires you to have a friend or family member accompany you to your appointment and stay to drive you home. For more information about tooth extractions or to schedule an appointment, contact our office today. Advanced Dental Care proudly serves smiles daily throughout Costa Mesa, CA, Irvine, Newport Beach, Huntington Beach, and the surrounding communities.